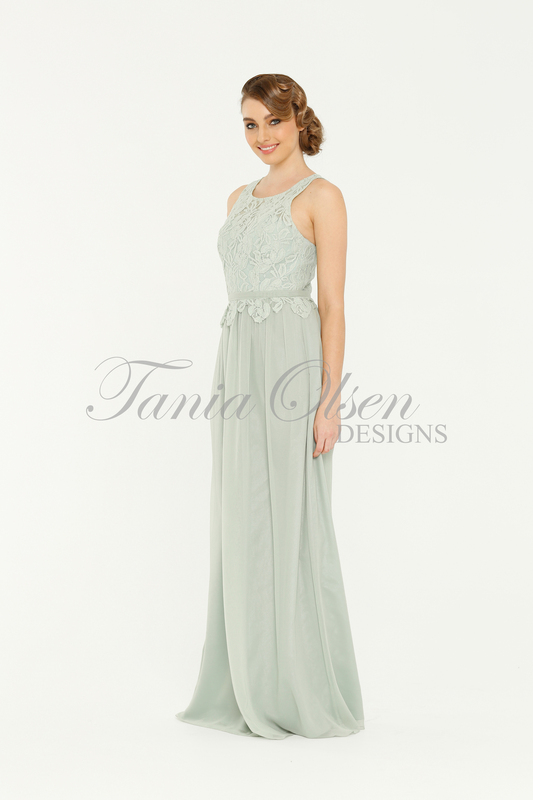 This beautiful Sophia Bridesmaid Dress by Tania Olsen will steal hearts. It’s perfect for a vintage themed wedding or formal occasion this season. 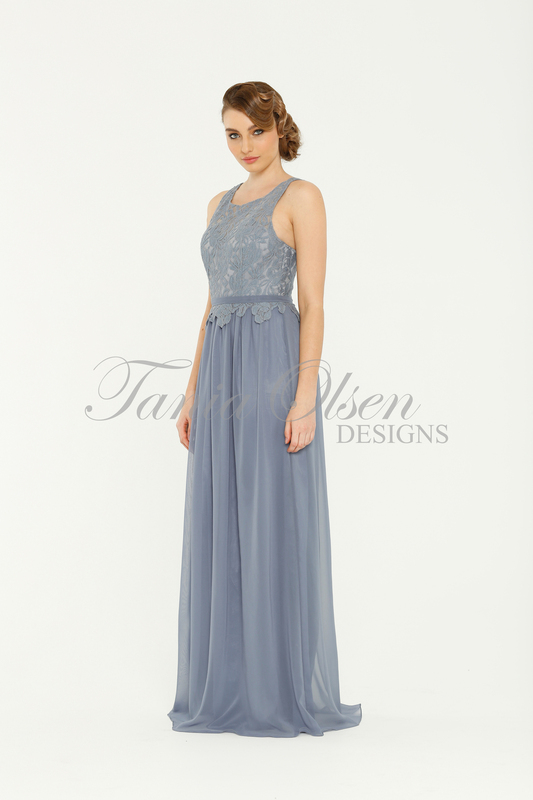 This stunning Sophia Bridesmaid Dress is for the effortlessly chic bridal party wanting something unique with elements of lace. The simple and romantic style of this gown begins with a scoop neckline and belt cinches in at the waist to give you a hour glass figure. At the back the dress teases a key hole detailing and the dress falls to the floor with a floor length skirt.